New Podcast – Justice Points! In case you don’t follow me religiously on Twitter (and who does), last week myself and Tzufit of Tree Heals Go Woosh! announced that we would be collaborating on a project together. That project is a podcast! 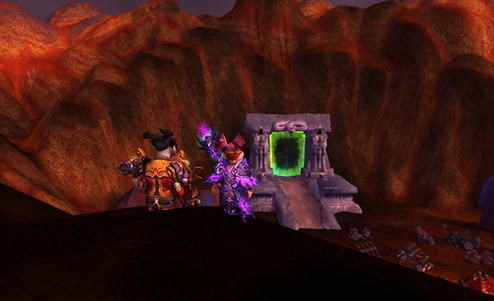 We’ve named it “Justice Points” as it is a show that features World of Warcraft from a more social justice perspective. 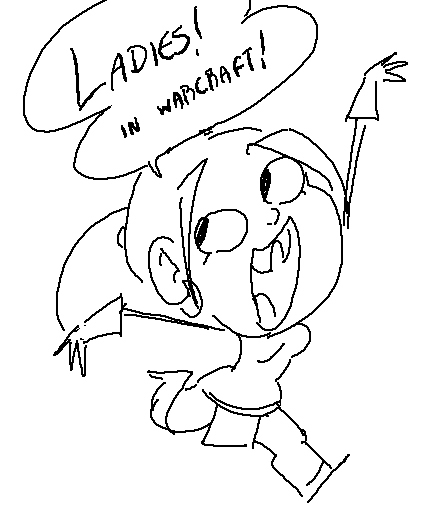 It’ll be our trials, tribulations and jokes about WoW with a little feminism thrown in. Our first episode is up on at http://www.justicepoints.com and we should be posting an episode a week if you want to join us for the fun. You can also follow the podcast on Twitter at @justicepoints. Warning: This post features so much lore-breaking! You might feel nauseous! This post came out of an idea I thought up late at night. I’m not ashamed to say that I have desires to think about these things, even when I ask stupid questions of my friends to make sense to my constructivist self. I only feel embarrassed when I get the lore so profoundly wrong that everyone gives me the side-eye. 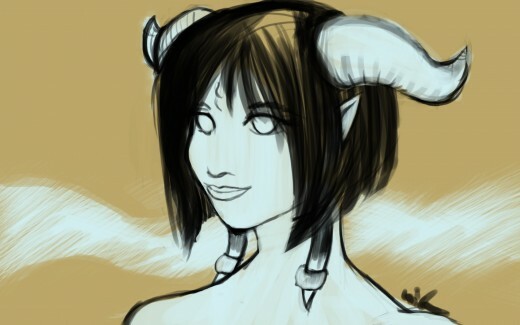 It is fun though, to dream of an Azeroth that neither lore scholars nor Blizzard themselves have yet. Basically, when I’m not failing Influential Characters in Lore 101, I do like to make up stories in my head about characters that maybe don’t exist in WoW, or don’t exist in the ways that the game has presented them as. I make up facts and consistent logic is not very strong here. The Azeroth of my dreams features way more women, for a start, and with more agency; a lot more people present as genderfluid and queer. Chromie and Androgos are male-identified dragons that love being lady gnomes. Lynnia Abbendis and Lilian Voss are vigilantes working to undermine the sinister forces afoot in the land, and they also are in love with eachother. Baine Bloodhoof sees his father regularly in his dreams, and it guides him. Fandral is seen as a tormented father rather than a loot pinata. Keristrasza gets the last laugh. The world that was broken is remade or improved in my head. It’s idealist as hell, but it makes me feel better. Therefore we find ourselves suddenly in Duskwood. It’s chilly and damp, but it is mostly just hard to see. We’re standing on a small plot of land with a small shack. The stink of rot is here, cold and lonely. Scourge amble aimlessly. Fluttering softly on the only breath of wind here are many small white flowers. We see two adventurers run up and hack an undead man to pieces as he comes out yelling and waving his arms. Slowly, piece by piece, he will sew himself back together. He is cursed for all eternity to never die, only to live with the regret and shame of what he did. He is only starting to figure out why possibly he is doomed to this fate. It is because of you. You look down and you are not the person you were. You are a woman, undead specifically. Your garb is lavish and clearly marks you as someone who dabbles in necromancy and fel energy. Every time you see Stalvan tearlessly weeping to himself in his shack, crying over a faded picture of your human face, you laugh. It is always his name that the villagers whisper to their children. Bitterly, you were forgotten, lost to the letters that he wrote to his family and friends. A footnote for a madman’s murderous rampages. Where was the memorials for you? Where were the tears for your family? A teacher with an unnatural lust for his devoted student, and no one cared that his story was the only one that was publicized. You were the shameful woman, the bad woman. You must have lead him on, giving him such a simple gift – a white flower. You didn’t notice the barely concealed contempt when you showed up with your fiance, you were too consumed with the idea of an arranged marriage. All that is gone now. Gone because of his jealousy and his perversions. “The blood that was shed paled in comparison to the tears I shed.” Feh. You spit on the ground. Tears? Tears? You cried tears, Stalvan? What about the tears as you saw your family murdered in front of you? He left you alive for last, he left you alive the longest so you’d feel his suffering. His suffering, heh. He didn’t know the first thing about suffering. I came back for you, your sweet Tilloa. A stupid man in a stupid shack doomed to live his entire unlife in rotting, tortured flesh, bound to this place with the weight of his guilt. A thousand heroes of a thousand generations will come to steal his treasures, and judge him for the crimes he committed. They will piece together the measure of his worth and find him wanting, a curse on the name of Mistmantle. It is small justice for the woman who wanted to be free from her life. You pick up a flower from the field and tuck it behind your ear. You always loved how they smelled, when you could still inhale their fragrance. There is time now for happiness, and rejoicing. Your work has been completed. You can do other things. You are the author of your own story now, and it is time to turn the page.